VISALIA – A triangular piece of property in north Visalia will soon become an independent market with a walk-up window. 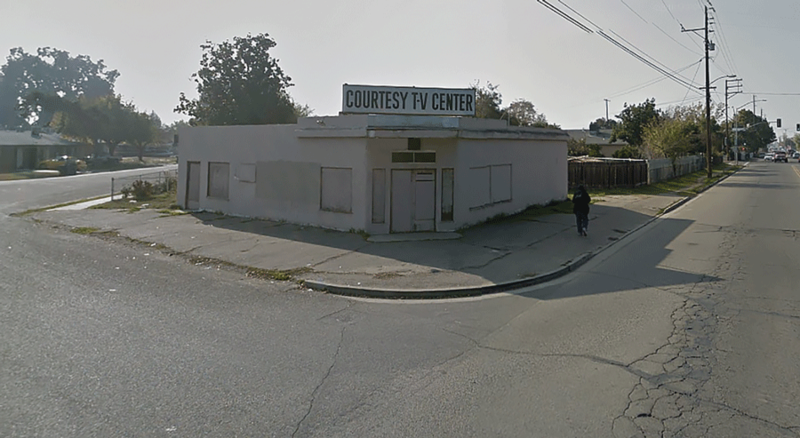 At its Jan. 14 meeting, the Visalia Planning Commission unanimously approved changes to a property at the corner of Houston Avenue and Church Street to allow the re-use of an existing building. Michael Behzad plans to convert at 1,500 square foot building at 139 E. Houston Ave. into a small, neighborhood convenience store. This store would include a dining area with four double-seated tables and a window where walk-up customers can order food to go. The store will be open from 7 a.m. to 8 p.m. daily. The building has not been used commercially since the 1980s when it was an appliance repair store. In 1993, the property was rezoned residential to fit in with the surrounding uses. The property owner did live inside the former repair shop before leaving the site vacant several years ago. The 2,334 square foot property is too small for commercial use but was rezoned because it is unlikely it can be used for residential use either due to its odd triangle shape. Because there is no street parking or adequate setbacks between the property lines and the building, the planning commission also had to approve a variance. Operating the building as a convenience store required a conditional use permit. As part of its condition and to allow for the variance, Behzad will be required to build a seven-foot high block wall along the south property line which includes a trash enclosure. There is street parking available around the property and Behzad told city staff that the walk-up window will be used to encourage people to walk, not drive, to his store.